Some students in the Lancaster ISD may remember this week's field trip for the rest of their lives. What they saw and what they got is today's Tell Me Something Good. 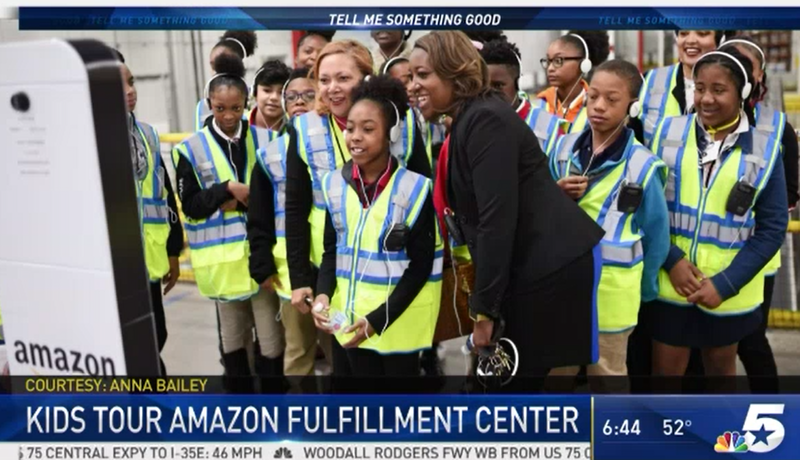 The Amazon fulfillment center in Fort Worth hosted students and teachers from George Washington Carver Sixth Grade STEM Learning Center Thursday. 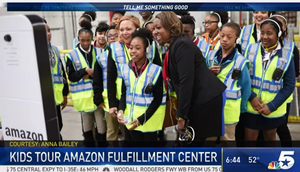 The behind-the-scenes look showed the students how Amazon employees use innovative technology to pick, pack, and ship customer orders. The goal is to connect lessons about science and math to the real world. At the end of the tour came a surprise no one expected. Amazon presented the teachers and students a $10,000 donation to support STEM education and to inspire the next generation of innovators, builders, and coders. The news release from Amazon says the local tour is part of the center's newly expanded public tours program. "Starting February 1, Amazon’s Fort Worth fulfillment center, and more than 20 other fulfillment centers nationwide, will open their doors to members of the public. From this date onward, customers will be welcomed into these sites on weekdays to see first-hand what happens after they click “buy” on Amazon." says the release.